Another new band today, really impressed by these guys. Beat Radio are: Brian Sendrowitz (Lead Vocals, Guitar, Songwriter) Dan Bills (Keys), Brian Ver Straten (Drums), and Evan Duby (Bass). 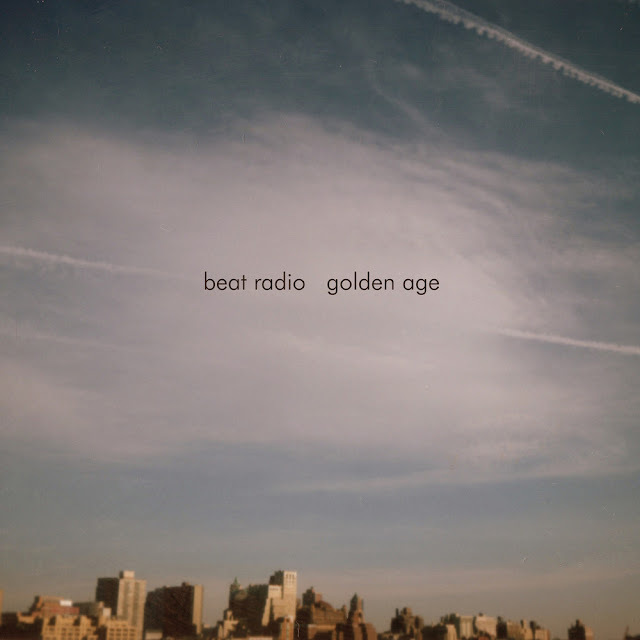 They have "sound a like" qualities in abundance on this new LP, Golden Age. I'm not going to state them as that would be making it easy for you. Listen to the LP to make you own mind up. We're feeling it though. Golden Age was released on the bands new DIY boutique label, Awkward For Life Records in December. It's available as a limited edition 12" translucent gold vinyl.